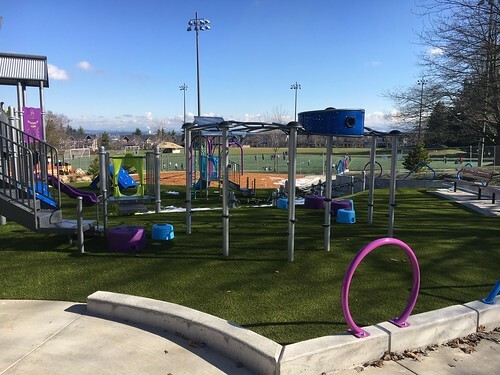 Does your community group have a proposal on how to renovate, expand, or upgrade a Seattle Parks and Recreation (SPR) facility or park? 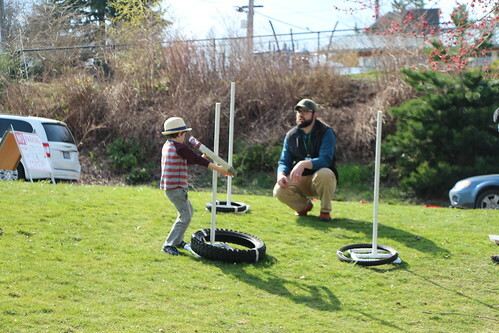 The Major Projects Challenge Fund (MPCF), which is a Seattle Park District funding initiative, will provide a funding match to a community-initiated “major project” that is not otherwise covered by an identified SPR funding source. The MPCF will provide up to $1.6 million per year as a match to a significant improvement or expansion at an existing SPR park or facility. To apply for the funding match, any community group may submit a four-page proposal letter that outlines their project and funding needs. Application letters are due on March 30, 2018. 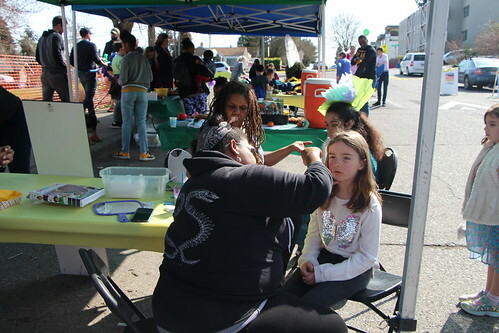 SPR encourages community groups that have a project and matching dollars to apply for funding from the 2018 MPCF. The application process will prioritize community-initiated projects that have a “parks and recreation” mission, encourage public access, leverage non-City funds, and are on SPR property and/or an SPR-owned facility. Click here to view complete 2018 funding criteria. The City is often asked to provide financial support to capital development or improvement projects that focus on parks and recreation, for which there is little or no City finding available, and interested communities don’t have enough funding to cover the total cost of the project. 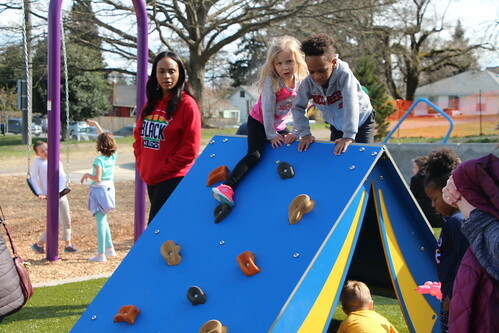 This MPCF will provide City funding to leverage community-generated funding for projects that expand the life and usability of a park or facility by providing opportunities for more people to use the facility. A portion of the funding will be allocated to assist diverse communities and organizations that lack resources for a match. Groups that are unable to identify any match should contact David Graves at david.graves@seattle.gov or 206-684-7048. Mr. Graves can assist groups with the funding process and help identify funding source(s) for submitting the application. For more information and a list of projects that received funding in 2016 visit http://www.seattle.gov/seattle-park-district/projects/building-for-the-future. For additional questions contact David Graves, Strategic Advisor at david.graves@seattle.gov or 206-684-7048. The Seattle Park District Major Projects Challenge Fund (MPCF) initiative leverages Seattle Park District funding with community-raised matching funds to significantly expand the life and usability of a park facility, providing greater opportunities for people to make use of Seattle Parks and Recreation’s improved community facilities and parks. The first round of the community-initiated projects, announced in December 2016, provided small awards of $30 – $96,000 for feasibility and preliminary design work to help define the scope of potential future projects and awards to two construction projects with a total cost of approximately $2 million each. The MPCF awards were based on screening criteria that included equitable prioritization scoring matrix, and came recommended from the Seattle Park District Oversight Committee and confirmed by Seattle Parks and Recreation’s Superintendent Jesús Aguirre after a screening process of the 19 applications received. The MPCF allowed for projects/studies to be accomplished throughout the city. Recognizing that all communities are not equally able to provide matching funds, the initiative allowed for a portion of funding to be allocated to assist diverse communities and organizations that lack resources for a match. INNOVA Architects completed the study and estimates renovation costs at $1.8 to $2 million. DA Hogan & Associates completed a schematic field design and cost estimate. The preliminary project cost estimate is $4 + million. INNOVA Architects completed the feasibility study and estimated project cost to be $4 million for short and long term needs. Schacht Aslani Architects is completing study on the building and programming, and the study will be completed by the end of 2017. Amy Yee Tennis Center, which is proposing to build an enclosure over the six existing outdoor courts that will be heated, lighted, secure, and programmable for tennis year-round. Currently these outdoor courts are only used during the summer months. The project will expand the capacity of the tennis center and enable it to offer more programs to more people. The tennis center is located at 2000 Martin Luther King, Jr. Way. SPR has assigned a project planner; initial planning work has started and community outreach will begin in early 2018. Kubota Garden phased construction project, plus funding for a master plan. The first phase is the completion of the wall to the north of the Entry Gate along with accessibility improvements. The second phase involves an update to the master plan, additional wall work and other potential improvements. Kubota Garden is located at 9817 55th Ave. S.
SPR will be launching the second round of the Major Projects Challenge Fund in January 2018 with proposal letters due in March 2018. 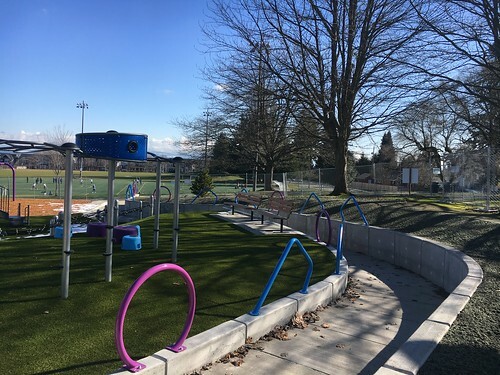 Funded projects must renovate, expand or upgrade parks or park facilitates with funding from a combination of City and community -generated funds. Seattle Parks and Recreation (SPR) will begin working on repaving 13 sections of the Burke-Gilman Trail in late October. The work will take place between 40th Ave. NE and Fairway Estates, just north of Magnuson Park. SPR awarded the construction contract to Westwater Construction. Work is scheduled to be completed by the end of 2017. This project will repair sections of the trail, remove areas of asphalt in disrepair, remove invasive roots that are causing upheaval, and replace those sections with new asphalt. The contractor will work on one section at a time, from southwest to northeast to reduce the impact to trail users. Seattle Department of Transportation (SDOT) will also be working simultaneously during the 4th quarter, in this same region of the trail to remove bollards/bollard plates and pave the sections that are impacted by bollard removal. Trail sections were determined by 2015 condition-assessment work done in collaboration with SDOT and reconfirmed in spring 2017. Cyclists and pedestrians will be detoured around the construction area onto side streets. SPR and SDOT worked together on detour routes and recommends trail users visit www.seattle.gov/parks/about-us/current-projects/burke-gilman-trail-repairs for detail detour routes. Thank you in advance for your cooperation and patience during construction. The Seattle Park District provides $250,000 in funding for this Burke-Gilman Trail improvement project. Approved by voters in 2014, the Seattle Park District provides more than $47 million a year in long-term funding for Seattle Parks and Recreation including maintenance of parklands and facilities, operation of community centers and recreation programs, and development of new neighborhood parks on previously acquired sites. For more information, please visit www.seattle.gov/parks/about-us/current-projects/burke-gilman-trail-repairs or contact Sandi Albertsen, Project Manager, at sandra.albertsen@seattle.gov or 206-684-8938. Seattle Parks and Recreation(SPR) is improving public and staff access at many facilities throughout the park system. The improvements are based on Federal, State, and Local requirements of the Americans with Disabilities Act (ADA). The most recent project is beginning at Ravenna-Eckstein. SPR awarded the construction contract for the improvements at Ravenna-Eckstein to WS Contractors and they began work in late September. 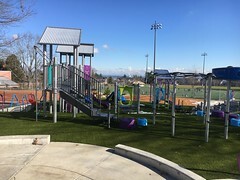 The work includes accessible parking improvements, upgrades to the bathrooms, kitchen, multipurpose room as well as site paving around the community center, play area, park, and garden. The outside work on paths and parking is weather dependent and we will work with the contractor to complete the work in an efficient manner. We are prioritizing the outside work and will re-open the exterior area when complete. 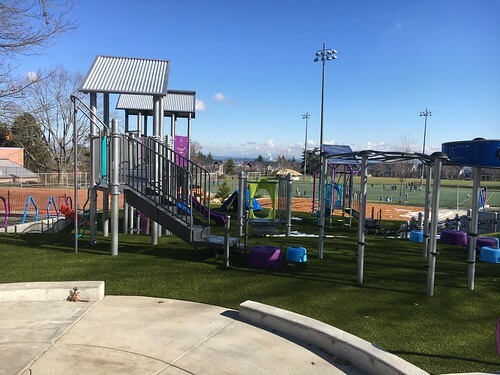 Seattle Parks and Recreation is working with the contractor to minimize the impact of construction, however, as of October 9, the larger play area to the west of the community center and the west entrance to the community center be closed for safety reasons. The project will be completed by the end of 2017. Thank you in advance for your patience and cooperation during construction. Community Development Block Grant, a federal program combined with dollars from the Seattle Park District funds these essential upgrades. The Seattle Park District, approved by Seattle voters in 2014, provides more than $47 million a year in long-term funding to SPR for maintenance of parklands and facilities, operation of community centers and recreation programs, and development of new neighborhood parks on previously acquired sites. To learn more about the project please visit https://www.seattle.gov/parks/find/centers/ravenna-eckstein-community-center or contact Kent Scott, Seattle Parks and Recreation, at kent.scott@seattle.gov or 206-386-4388. Through this Request for Proposal (RFP) process, Seattle Parks and Recreation is looking for a partner who can make a significant capital investment in Building 2 in exchange for a long-term lease or concession agreement. While SPR encourages interested groups to work in partnership to develop a comprehensive proposal, the department intends to enter into an agreement with only one proposer. Therefore, only proposals where a designated sole lead entity or organization is clearly defined will be accepted. SPR will host pre-submittal conferences and site tours on Jan. 26 at 10 a.m., Feb. 26 at 1 p.m. and on March 14 at 3 p.m. The events will be held at Building 2, 7727 63rd Ave. NE, Seattle, WA, 98115. To download a copy of the Request for Proposals packet including reference documents and supplemental information, please visit: http://www.seattle.gov/parks/partnerships/Building2RFP.htm.